The latest Chromebook to hit Australia has arrived in Harvey Norman, retailing for $398 the HP Pavillion 14(C001TU) is starting to reach into the more premium end of the Chromebook spectrum. With a spec list that includes a large 14″ display it’s more suited to those who require the extra screen real estate, although at 1366×768 it retains the same resolution as the Acer C7 and Samsung Series 3 Chromebooks already on-sale. The stock is available in stores now, but it is best to check with each store to see if their stock has arrived. In the meantime you can check out the Harvey Norman website to see the details. 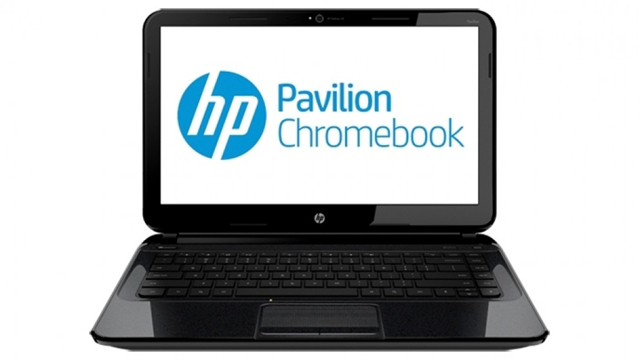 We’re expecting to have a HP Chromebook to review shortly, so stay tuned. Source: Harvey Norman, and Harvey Norman.